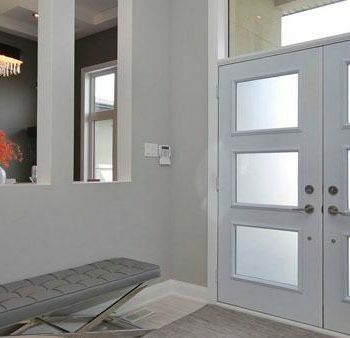 In a prebuilt home, entryways are often an afterthought and a product of function, without any regard to form. However, when designing a custom home, you can ensure the space is as warm and welcoming as any other room and can make design choices that guarantee it will stand up to the constant traffic. Tile is a good choice for entrances because the material is durable, not susceptible to water damage and easy to clean. When building a custom home in Ottawa, it’s important to take into account the weather and how ice, snow, salt and mud will likely make its way into the entryway. Installing a sturdy tile is practical because it can help keep the area clean, and with the sheer amount of tile variety you’ll be able to find a product that adds to the overall beauty of your home. A popular option for many custom homes is to add a secondary set of doors off the entrance to create a vestibule. This can help keep the chill of an Ottawa winter from gusting throughout the rest of the home and can help keep air conditioning inside during the summer. The greatest advantage to building a custom home is that you can design every aspect of the house to fit your needs—including how the entryway will look and function. Thinking through every little detail can be overwhelming for homeowners that have never been through the design and build process, which is why it’s extremely important to partner with an experienced home builder that can help you through the whole process. 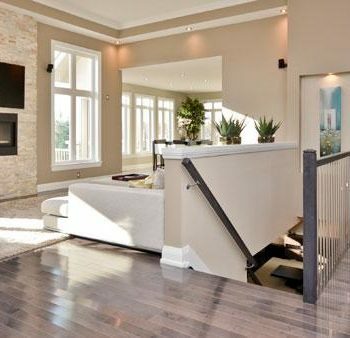 Omega Homes specializes in creating custom homes for our clients throughout Ottawa, from the downtown core to Carp. We have the experience and knowledge to help you design and build your dream home and guide you through every step of the process.